As an Asst. 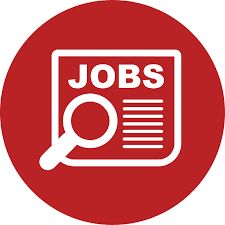 Manager for the engineering department you would be assisting the Assistant Director of Engineer on his day to day activities, Responsible for the proper operation and maintenance of all machinery, equipment and engineering facilities. General knowledge of Mechanical, Electrical, Plumbing, Kitchen and other trades. Good knowledge of fire & life safety processes and procedures. Strong knowledge of mechanical or electrical services. Able to train, coach and develop team members. Diploma or degree in engineering related trades. Along with certification in related fields. A minimum of 2 to 3 years experiences working as a multi-skilled technician in a five star / full-service hotel or similar capacity in a service industry. To assist the Assistant Director of engineer in the day to day work and oversee the preventive maintenance of all equipment. To assume all the responsibilities and authority of the Assistant Director of engineer in his absence. To take regular training classes of Engineers and Staff. To check all log books daily and take corrective measures accordingly. To keep Assistant Director of Engineer informed of all the activities and incidence in the Engineering Department. To coordinate with the outside agencies or vendors for repair and maintenance work. To check the quality of engineering goods procured by the organisation. To obtain a thorough knowledge of firefighting appliances. Able to represent engineering department on HOD meeting during the absence of Assistant Director of Engineer. Able to take decisions in order to ensure successful operation. Able to respond to emergencies in a timely manner. Able to effectively perform vendor management. Able to make quotation finalization. Monitor and record utility consumption and assist the Assistant Director of Engineer to maintain efficiency. Maintain history card for all the plant equipment. Provide supervision and leadership to colleagues within his/her area of the Technical Services Department. Daily coordination of the Technical services department in his/her area of responsibility. Advise on the duty roster for his/her area of responsibility. Should have good knowledge of Capex and Opex item. Ensure correct maintenance of all equipment in conjunction with the other user departments. Stay abreast with the technological advances in surveillance & safety of equipment. Ensure that Operational problems are promptly brought to the attention of the Technical Supervisor. At regular intervals, inspect the working condition of equipment and engineering systems and ensure that all standards are maintained.